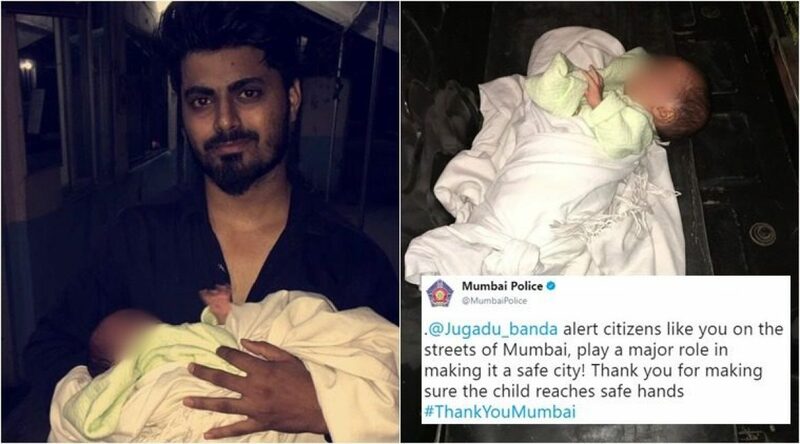 A 26 year old man acted as a savior for a newborn baby girl abandoned by her parents in a Mumbai suburb. The infant, wrapped in a white blanket, was left in an auto rickshaw when Hemant Sharma heard her cries. The young man decided to rescue the baby and took to the Internet asking for help. His post garnered a lot of traction online. Soon after the post, people reached out to him – some to inquire, others with helpline numbers and many others to convey their gratitude to him for saving the child’s life. Mumbai Police Twitter handle, known for its absolute wit and pun, was quick to act too and reached out to him on Twitter to assist. The baby is under doctors’ observation with two women police constables taking care of her. Police are still trying to locate the parents of the baby.